Protecting Your Family And Property For Over 25 Years. Serving Central New Jersey, Including Monmouth County, Middlesex County And Ocean County. We Are Located In Middletown, New Jersey. 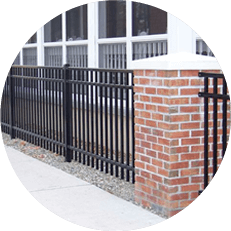 Frontier Fence, located in Monmouth County New Jersey, is a full service fence company. Our services include design, installation, manufacturing, retail material sales and repairs. Our primary focus in business is to package the highest quality of professionalism, service and product together for our customers... simply because they deserve it. Call us today for more information. 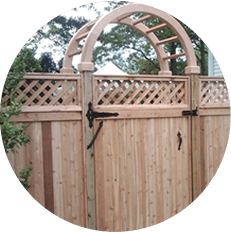 At Frontier Fence we understand that a well designed and executed fence offers a lot more than its intended purpose. The right fence becomes an extension of your living space, makes a property more attractive and adds market value. 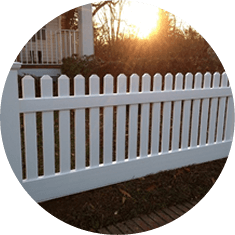 Whether it’s a residential fence for your home or a commercial fence for your business, let Frontier Fence’s years of experience and expertise work for you to achieve the best possible results. 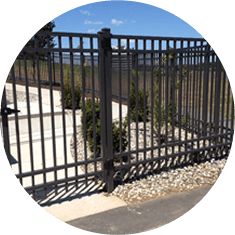 Have a look at some of our work and you will see why Frontier Fence has been the preferred choice for thousands of customers for over 25 years. 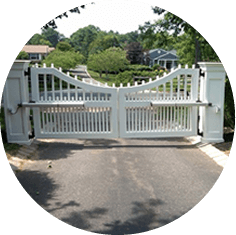 Whether its fence materials only, a custom manufactured gate or fence design, or a full-service fence installation, Frontier Fence has it all. 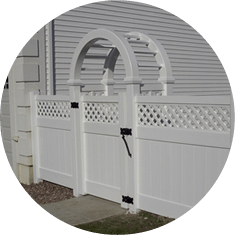 Established in 1993, Frontier Fence is a family owned and operated full service Fence Company providing both residential and commercial fence materials and installations. From the very beginning, our goal has been to make the customer our top priority by providing a very professional and seamless experience from start to finish. All our employees are skilled, well trusted, highly valued and receive constant certification in industry and customer related disciplines. Frontier Fence is fully licensed,accredited and insured. 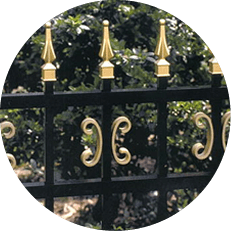 At our company, we want to make an upfront commitment to our potential customers by making their lives easier when they are looking for information about fences. 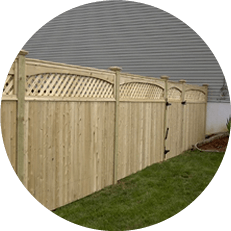 If you have some questions about fencing or pricing that you need answered, give us a call or send an email. You will be surprised how much information we can offer in a short time. 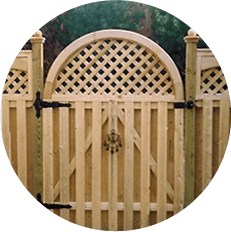 Alternatively, if you are not sure what is available you can also contact us to schedule a time to visit our showroom where we have dozens of fences on display. If you would like a comprehensive estimate on a project you are considering let us come to you at a time that is convenient for you. Call us, email us, or fill out the form below. We look forward to hearing from you soon.